Feed hungry people dim sum! Teleport your way to victory! My First Game - A Clone! Didn't know there was a jam this month and literally started this project yesterday, unfortunately. 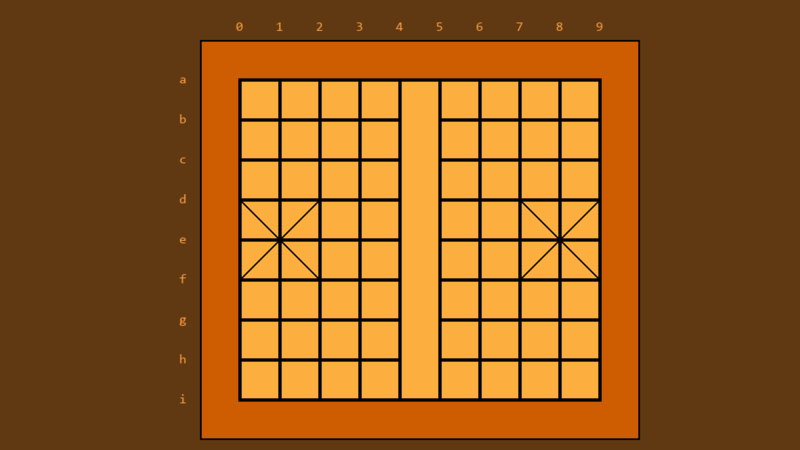 Funnily enough, I had this idea of extending the game of Chinese Chess (also known as xiangqi) into a wargame. The pieces will move in a similar fashion as the actual game but we will allow for custom (and larger) boards, not the usual 9x10 board. Additional ideas include day/night cycles and tweaked movement so that the pieces have more freedom when moving across the board. I didn't really have time to do much so I only really got to creating the board yesterday. Hopefully, I can submit a barebones version of the game (with no AI, just 2 players) and then keep working on it thereafter to test out the mechanics.